I am in the last push of spring cleaning. It hasn’t been easy but it has been quite successful. The only remaining space that I have left to tackle is my sewing studio. I spent the weekend putting up new lights around my light box as well as some new lights above my cutting table. While I am still in the process of putting the organized chaos back together I thought I would share several pictures that I have used as either guidelines or inspiration to further organize and personalize my creative space. 1. 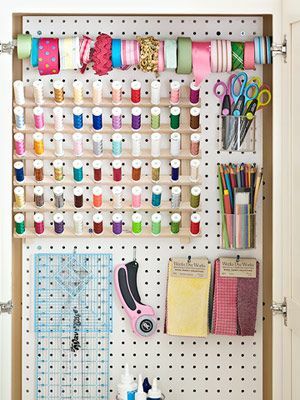 Create a pegboard to hold all rulers, tools, and scissors. I want to put one next to my cutting table . 2. 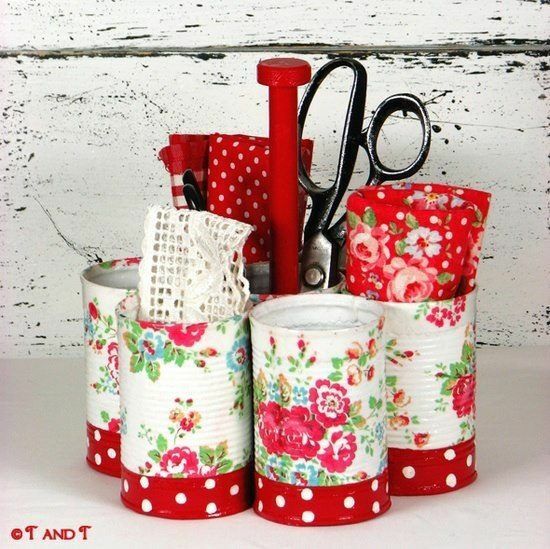 Create a caddy from tin cans to hold notions on sewing table. 3. 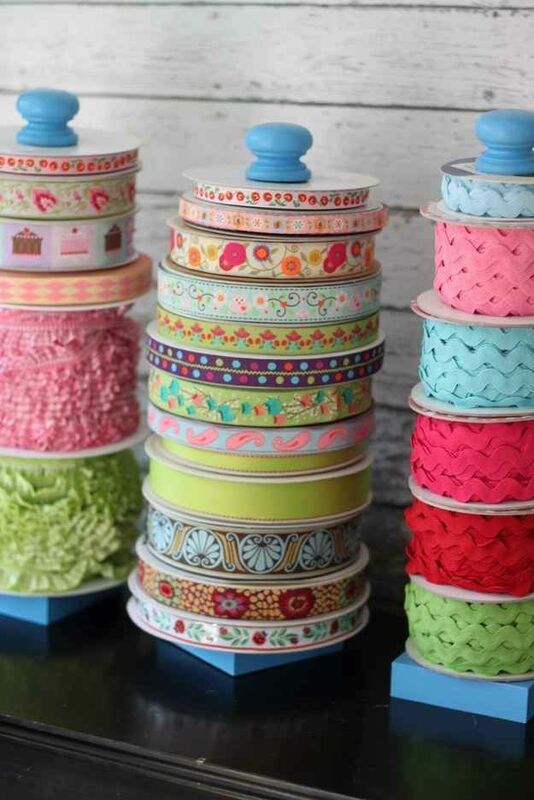 Organize ribbon in a decorative and efficient manner. 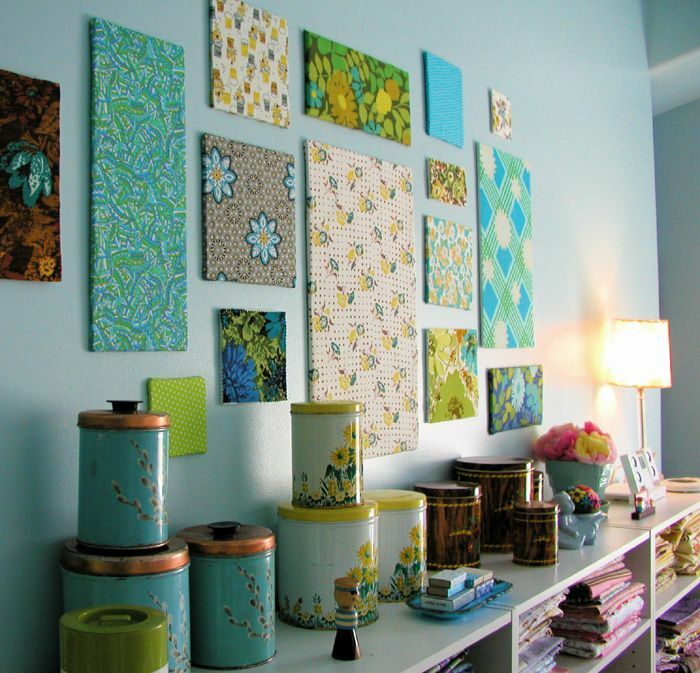 I liked the look of these…maybe paint paper towel holders? 4. Create furniture that has more than one use. 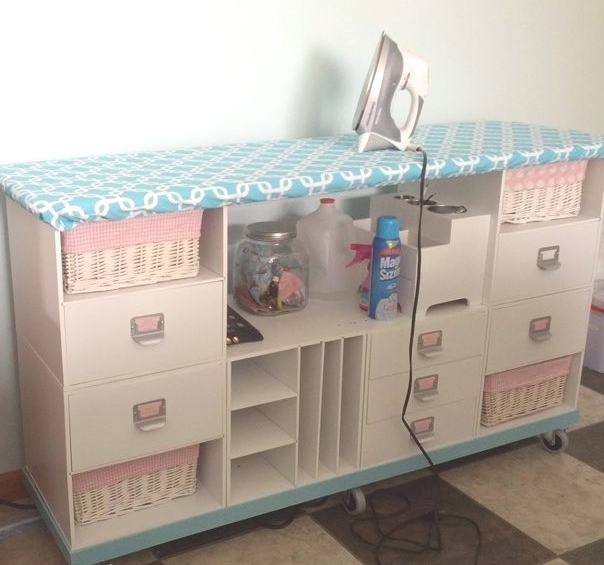 I LOVED this idea of a shelf and a ironing board. 5. 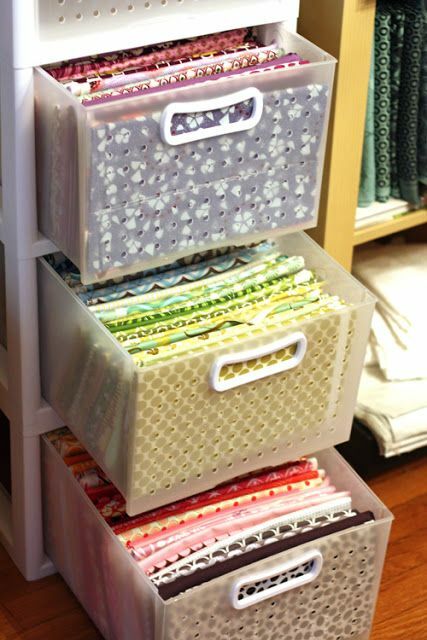 Organize smaller yardage fabrics. Place on either a shelf or in drawers. 6. Create a focus wall. I have too much white going on in my area. I would really like to create a unique wall display. Are you in the midst of organization? Do you have any ideas that would be helpful? Would love to hear from you! Command hooks are life savers! I like the idea of hanging up holders for all the little tools. Good luck with putting your room back in order! What did you wind up deciding for your storage problems? Oh my goodness! That bias tape sounds like an amazing rainbow of sewing fun! I have a few more pieces to get to better store my patterns but it is coming along nicely.